Lately, my tattoo has been stinging. Today I felt the razor slice most sharply. Some of my students presented on the Rwandan genocide for their social justice project today. The video they showed was one I have yet to see on the topic. Like Harry Potter’s scar, my tattoo burned. It burned for the people of Rwanda, it burned for the hope that so many still need there, it burned for the beauty of the thousand green hills, it burned for the red dirt, for the crowded packed streets of Kigali with kids selling you small nuts on the side of the road as your bus drives through, it burned for the monkeys frolicking across the grasses on the campus of the National University of Rwanda (NUR), it burned for the smiles and jokes of friends on long dusty walks and bumpy car rides, it burned for a Fanta Citron, and for a dinner sitting around a small round table at the Falcon. And for croque madames. For the Copabu, the artisan and craft store. For rooms of college students sitting eager to learn and talk and share. It burned for so many more things I couldn’t even begin to categorize on a blog because they can’t be written on keyboards and white cyber space. They’re written on my heart, and well, my right hip. This summer will be the first one since 2008 that I won’t be traveling to the Dark Continent. Part of that is shear relief. No 3 days of traveling and 11 hour plane rides, hoping against all hope that our luggage arrives. No malaria pills that make my skin so sensitive cold water sends shooting nerve sensations up my entire arm. No cold showers every morning at 6:30 am and no tough, chewy meat. But, in a strange way, even those small discomforts seem romantically endearing to me right now. I decided at the end of last summer that I wasn’t going back to Africa for only 3 weeks this summer. 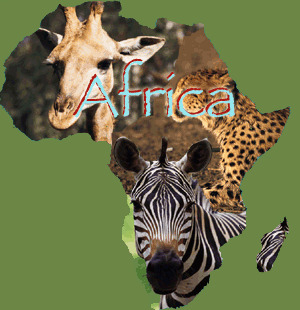 If I was going to Africa this summer, it would be for at least a year, maybe two or even three. But, the cares of this year and a thesis and teaching students and advising newspaper and ASB and working with kids at church all somehow halted the progress of being Africa-bound. And don’t even get me started on boys. Africa as a word has sent at least one eligible man running. And I got to a point where I didn’t want to go to Africa alone. I still don’t. I would hop a plane there tomorrow if I could bring two things: another human, and my puppy. But that is not a guarantee. And so I don’t know what to do. Maybe Africa is just meant to always burn a whole in my skin. Maybe this tattoo is like a scar that just won’t quite heal. Can the salve be found here in America? Can I have a “normal” life? What is that even, and is that what I really truly want? Or will Africa only stop burning my skin if I go? These are things I ask myself on days like today when the pictures of the beauty and pain of places as real and near to me as Rwanda make themselves impossible to ignore. Like my tattoo. A lot like my tattoo. Impossible to ignore. This entry was posted in Africa, That's Life (not the magazine) on May 24, 2011 by Becka. I’d been home from Africa for a week when I suddenly found myself lying on a surgical chair with a tattoo artist bending over me, imprinting Africa on me permanently. 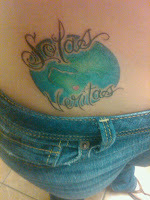 For the next however long I live, every day, I will see a small globe that sits on my right hip, with a tiny red heart over Central/Eastern Africa and the words “Solas Veritas,” Latin for “Truth Alone” scripted across. As if Africa wasn’t deep enough in me as it is, this was just one more way to make it stick. I debated this tattoo for a long time, wanting to be certain that what is inked into my skin for all of temporal time is actually something worth looking at and reflecting on for the rest of all temporal time. Quite frankly, I realized, I needed this tattoo. I need for Africa, and the lessons God taught me these last three summers to be tattooed on my heart for the rest of my earthly existence. For three weeks, my team and I lived in an equatorial, tropical garden juxtaposed with poverty and spiritual darkness. East Africans greeted us everywhere we went with the familiar “Habari?” (“how are you?”) to which we responded, “Nzuri” (“good”) and then awaited their “Nzuri sana” (“very good”) reply before we ended the short conversation with “asante” (“thank you”). We spent time meeting locals in town, in the market, at the schools we attended for cultural exchange, and in shops that we frequented. We took the time to get to know them, build relationships with them, and hopefully love on them as they hospitably loved on us (gave us beadwork, made us bread, welcomed us into their homes and on their porches, provided tea and snacks during school “recess”, and took us to touristy places or recommended us to the local “fundi” or tailor). In the midst of the work we were doing we took a mini-vacay with our field workers one weekend to a small beach resort. Not only was it one of the most idyllic, Honeymoon-stay-movie-status kind of places I’ve ever been to, it was also the site of one of the most poignant God lessons I’ve had in a long time, maybe ever. I sat on a (probably hand-woven) lounge chair on the white sands of the Indian Ocean with my Bible, journal, and pen in hand and just reflected on the last week and a half, or really last couple years of my life. I realized that I was struggling with short-term work. There was a growing discontent in my heart to simply go to a place, meet people for a few days, and then leave again. If I’m going to build relationships with people, I want to have the time to really invest, pour into them, walk alongside them, and remain, at least for a good while. I realized that too often and too easily I allow myself to turn to my friends (roommates in particular) for support and accountability, assurance and encouragement when the only person I should rely upon to meet my needs is God. I saw firsthand from our field workers the cost of discipleship, the pains and the inevitable hardship that comes from leaving comfort and home and all that is America to serve in a place that is wearisome, both physically and spiritually. I saw that obedience is costly, and I pondered if I was up to the challenge. But even if I didn’t have the answer right then, it came a few days later during a time of worship with our field workers and some other friends in town. Hearing a girl about my own age tell of her journey to make it to Africa and how God called her away from her job and her school and her home, I wanted to close my ears and scream so that I could somehow not be responsible for the message I was hearing. It was all too convicting and powerful. But I knew to drown it out or tune it out was somehow worse than maybe disobeying all together, or at least, it was just as bad. Then, our field worker hit us with the idea that we are often all too tempted to find our value in our jobs, our education, our church body, our hobbies, our friends, and our place of living, rather than in Christ. Ouch. That hurt. So many times I am Ms. Lohman (the teacher), or Becks (the roommate), or Baby Becka (the daughter), or the girl at the gym, or at Starbucks, or … fill in the blank. But how often am I just Becka, a follower of Christ? Decidedly, not often enough. So, I added all that to my list of contemplation points, and culminated my rue-ings when I met with the missus of our field worker family and poured out all my thoughts. She encouraged me that when the time is right for me to go, whether it be Rwanda or somewhere else, I will know and I will have peace. The “when” clause is now becoming a lot more concrete a term than the “if” clause. She also reminded me that as hard and as difficult and as tearful as their lives have been for the last 2 years, she knows there is nowhere else they are supposed to be, and in that, there is much peace and joy and satisfaction that she would not trade for all the comforts of Southern California. This entry was posted in Africa, Blessings on July 20, 2010 by Becka. I can’t help but echo her sentiments entirely. I haven’t lived in Africa since the ripe young age of 14 as the offspring of an overly patriarchal, Bible-thumping zealot, I haven’t married a native (at least not yet), and I haven’t suffered from an almost lethal experience with malaria (knock on wood). But Africa HAS gotten under my skin. 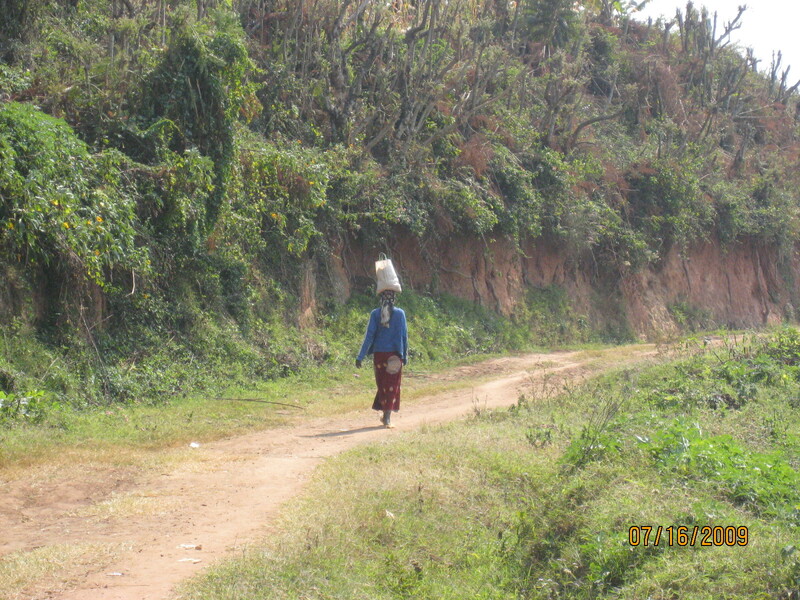 Since I traveled to Rwanda in the summer of 2008, and again in 2009, my heart has felt a deep longing for that place. So far, that place has taken shape and color in the names and places of people who I have come to love from Rwanda, the beautiful Land of A Thousand Hills. But now, as I prepare to land in another part of Eastern Africa in less than 3 days, I am excited for yet another piece of the “Dark Continent” to leave it’s indelible mark on my heart. That question actually has consumed much of my thoughts since about two months ago when I finally said, “Yes, Lord, if Africa is where you want me to teach, Rwanda specifically, I want to go. Help me know how and when to be obedient to that.” I could easily continue teaching my kids in America, who I love dearly and consider one of the greatest blessings in my life. But… comfort might not be all that is in store for me as a teacher. Rwanda wouldn’t always be comfortable, but it would be beautiful in so many ways I’m sure I can’t even imagine right now. And it would be obedience, which is always beautiful, even if covered by a fiery trial and a crucible. And so… now onto another Eastern African country. And a new team. And a new set of people to meet and field workers to bless. I couldn’t be more excited. Right now I can’t think of a place in Africa I could possibly love more than the Rwanda that has captured so much of my heart, but I’m sure there is room enough for this other place. 1.) Safe travel (for us AND our luggage ), obviously! 2.) Intentionality with the people we meet in EVERY opportunity! 4.) Learner’s hearts as we sit at the feet of people who serve in this place every day. I specifically would like to spend time with the Missus, just really grappling with what it means to be a “girly-girl” and a wife and a mom while serving overseas. 5.) Servant’s hearts to really just bless the people we are working with – our field workers and the locals. 6.) For the hearts of the people we are reaching to be soft to the Gospel. 7.) Team unity, patience, and love for each other. 8.) Growth, lots, and lots, and lots of it as we come home Green! And secretly, of course, I want Africa to get under the skin of all my teammates, like it has mine. It’s not easily washed off, thank God! This entry was posted in Africa, Blessings on June 15, 2010 by Becka.